Well, we made it back from Egypt and had a few days in Paris before going home for the holidays, so I thought I'd go out and leave a new painting while passing through! 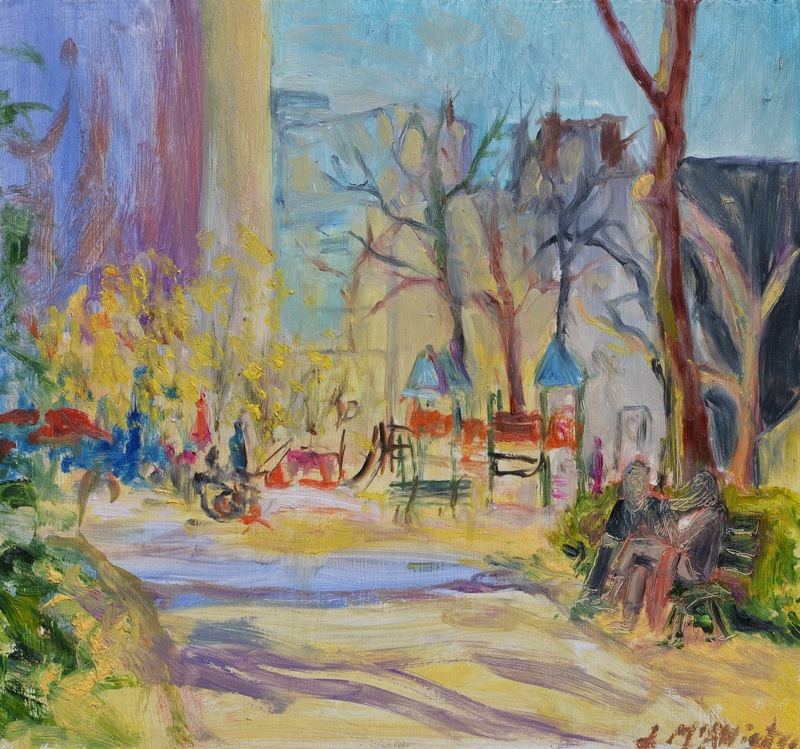 This one is on a park bench in the Square René Le Gall in the 13th. It's a lovely place to sit and paint, if anybody is looking for one of those :). Next week I'll be back in the States for a little while, but I'll hopefully be painting more in Paris in the new year. I wish all my Parisian friends a warm and happy holiday season and I hope that someone enjoys this little gift I've left behind. As for my friends in the US, keep your eyes open! I might be leaving some paintings over there soon! 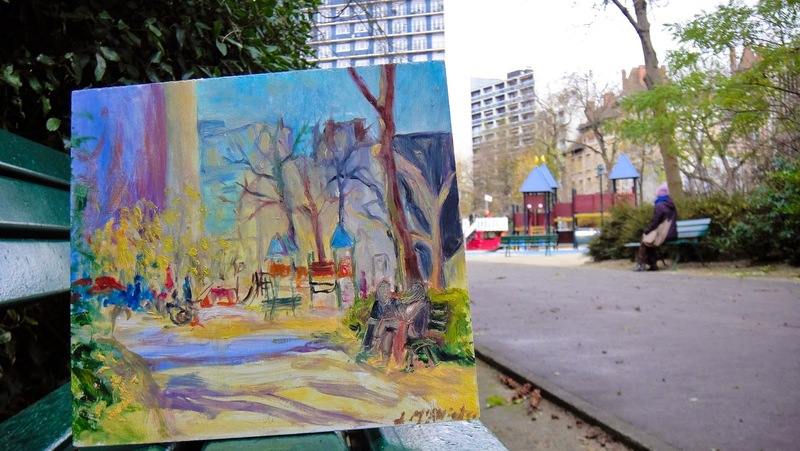 This painting, oil on found wood, 22 cm x 23 3/4 cm, was left in the Square René Le Gallon in Paris on Dec 11, 2014 at 2:15 pm.